Preparing for a long distance move is not an easy job. It is time-consuming, exhausting and expensive too. It is a complicated feat for individuals, families and even business leaders who are in charge of corporate relocation. Are you looking forward to relocating your business? Well, moving an entire business can be a tricky thing. It involves shifting furniture, packing and unpacking things. All this could prove to be extremely stressful. But, you have got nothing to worry about because there are companies which do the task of moving for you. They are called the business moving companies. The entire process is quick and affordable. Some of the professional business moving companies have provided a handful of tips and tools to get you started with your business moving. Hope, this helps you in your upcoming move and make it simpler for you. Of course, before starting a hectic task like that of corporate relocation, you need to do proper planning. Planning helps in determining the outcomes. Start planning well in advance. The first step involves deciding the specific dates. So prepare the moving schedule accordingly. Make an inventory of all the items. If you are hiring a business moving company, then make sure to call them at least one month in advance. It is an important step. For any moving task, you need to take stock out of possession and decide what is required and what are not. This helps in taking the pieces of stuff worth moving, and others could be left behind. There will be a whole lot in your office supplies which you no longer want. These could be furniture, gadgets, and old electronic devices. It doesn’t make any sense for paying to move such items when you can raise money through a yard sale or an auction. Eliminate a 10 to 20 % of your accumulated stuff. You could either sell, donate or toss those items which you don’t need and haven’t used for a long while. As mentioned before, moving is a time-consuming process, especially, when it comes to moving a whole business. Please don’t wait until the deadline or the last moment. It will just make it more of an overwhelming task. Start with the packing well in before the moving date. This way, you could be all prepared for your moving day. When you planned, you must have got an inventory list. So you would realize how long it would take for packing all those items. You can start packing the items which are not in the regular use beforehand. Things from the storage area, basement, and attics which are not often used could be included in these. It is another important tip. Almost all the business moving companies recommend securing the items for preparation over the long-distance moves. Hence, you should also consider factors like terrain, weather conditions, traffic, etc which might damage the objects. 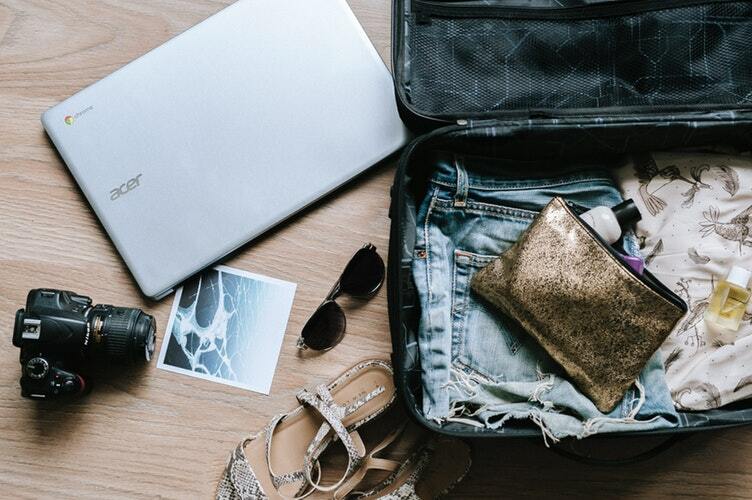 We understand that packing is not just any task, but it is an emotion. Your valuable possessions should be shifted safely. Therefore, it is advised to pack the items carefully and secure them in the boxes with professional grade packing tapes. Use padding for protecting the wooden surfaces of furniture. Place the delicate and fragile items at last. Do not ever keep them below any heavy objects. 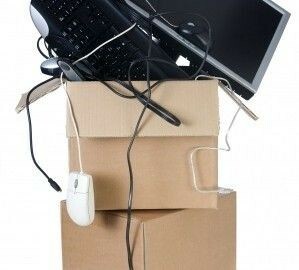 While packing heavy items, ensure that the boxes you have chosen are capable of holding them. The number and label your boxes so that it will be easy for you to locate these boxes after moving in. It would also help in getting the right thing which you require. Labeling the boxes and storage bins would make the unpacking a lot easier. You could save your time and energy if you employ a numbering system. It could also include a little description of the things inside each box. So, even if you lose one, it would be quite simple for you to guess which one. Losing items is a common thing while moving, particularly if you are hiring a moving company. Your electronic items are expensive, sensitive and valuable. Therefore, extra care should be taken while packing them. Computer, printers, fax machines, copiers, etc are some of the many electronic devices among your office supplies. You must have observed that these items come covered in a bubble wrap. Similar, bubble wraps or blankets should be used while placing the above mentioned electronic objects in the boxes. One another thing, you should not only take care of the outside, but inner components also need to be checked, removed or replaced. For example, while packing a printer, make sure to remove the printer cartridges. Some of the electronic devices come with specific instructions for moving them, like fax machines, copiers, computers, and printers. These guidelines if not appropriately followed could lead to damages, internal or external thereby also void the warranty. In case you are hiring a moving company, they will transport the items in their trucks. Before transporting, you must get the insurance coverage. There are many private insurance policies which cover rental car damage, but it doesn’t include rental trucks. So before hiring any of the business moving companies, ask them to explain about their insurance coverage options for your belongings. These would cover for the damages that happen due to an accident or mishap of a rental truck. Though this is one of the final steps, it is one the most vital step in the whole process of packing. Many a time, people forget a few things behind or lose few items. Therefore, to avoid such silly mistakes to happen from your part, make a checklist and adhere to it. Check that your planning list is followed correctly. Make sure that all the items are packed in their respective labeled boxes. Double check the inventory list. Even while unpacking, make use of this same checklist to get done your work quickly. Next Should your Company Buy its Own Plastic ID Card Printer?